Hello crafty friends! This sure is a SUPER busy week for me. My craft room is pretty decent and clean... thank goodness! But there are still so many things to do like finish cataloging my stamps, and put away new crafty goodies from weeks ago. I hope I find time to do them this weekend. 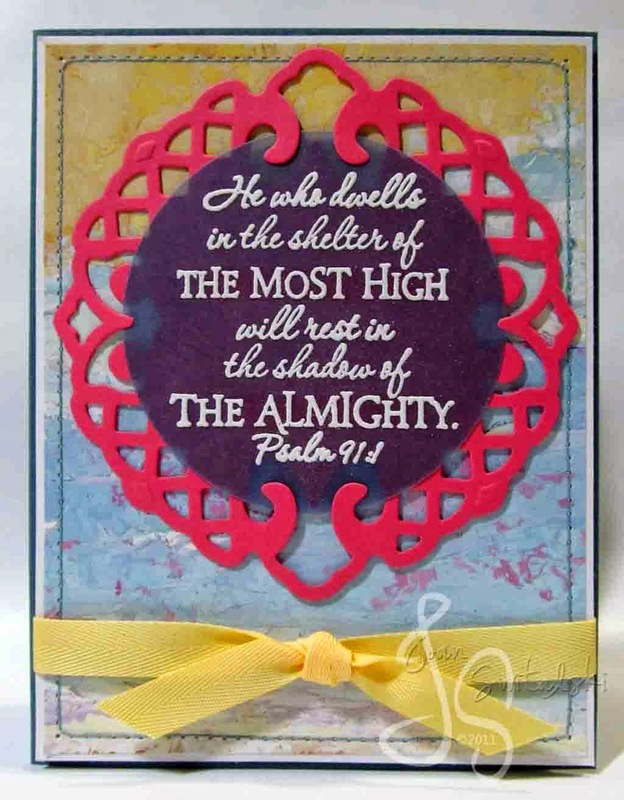 But for now, I'd just like to share with you a quick card I made using one of the stamps in Our Daily Bread Design sets. 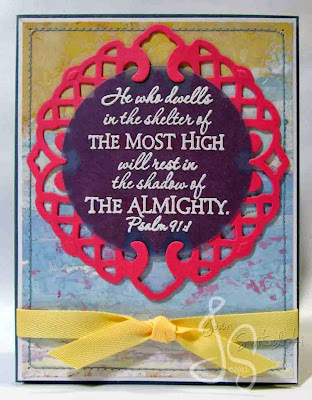 My favorite part in this card is embossing with white EP. Love it!